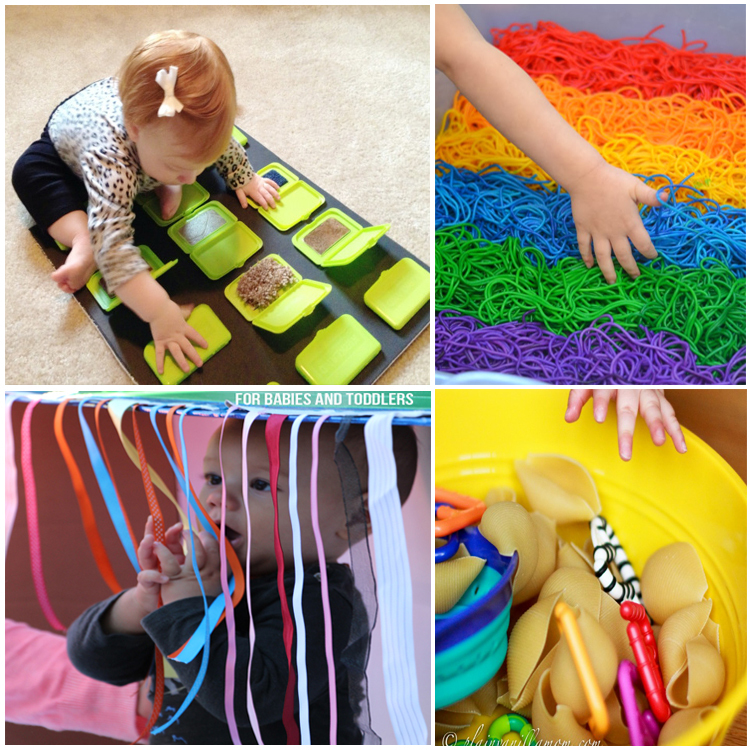 I’m always excited to try out new sensory play ideas with my youngest who just turned 1, what’s even better are when the activities are perfect for toddlers too so you can include some of the older siblings in on some of the hands-on fun! 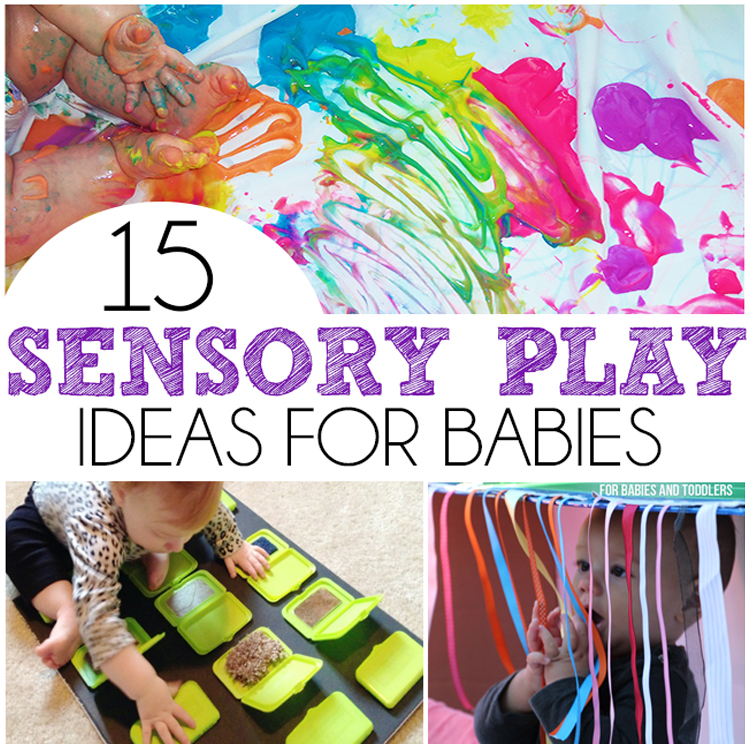 Check out our 15 sensory play ideas for babies that include some easy 2 ingredient recipes to some fun sensory board and boxes that are simple to make. Click on the links below for the instructions and recipes. 1. Goo Sensory Bags – The kids will love squishing these colorful sensory bags with this easy recipe from Hello Bee. 2. 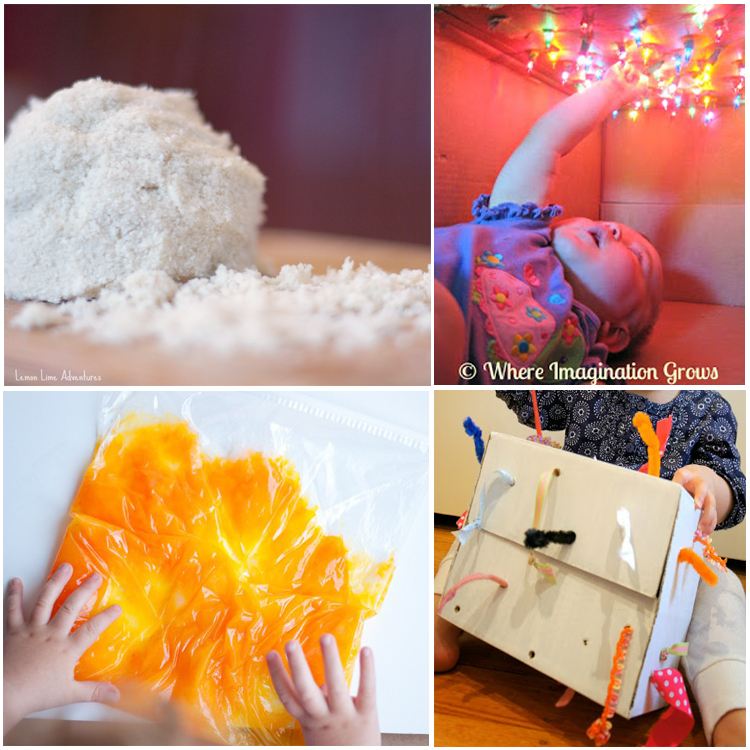 Star Box Sensory Play – This look like so much fun and a great way to use those Christmas lights in storage! Check out the tutorial from Where Imagination Grows. 4. Baby Safe Cloud Dough – Lemon Lime Adventures has the perfect cloud dough recipe made without baby oil! 6. Rainbow Sensory Play – Simple colorful sensory fun from Growing A Jeweled Rose. 7. Cardboard Sensory Boxes – Meri Cherry features a few other sensory ideas using cardboard boxes and these make a great activity for the older siblings to join in! 8. My First Sensory Bins Post – Looking to start with some simple sensory bin ideas? Plain Vanilla Mom has a great one with some common household items that you could make in seconds. 9. Neon Taste Safe Finger Paints – We made these simple recipe using two ingredients, toddlers love the fun activity too! Perfect for the little ones who still like to put their fingers in their mouth. 10. 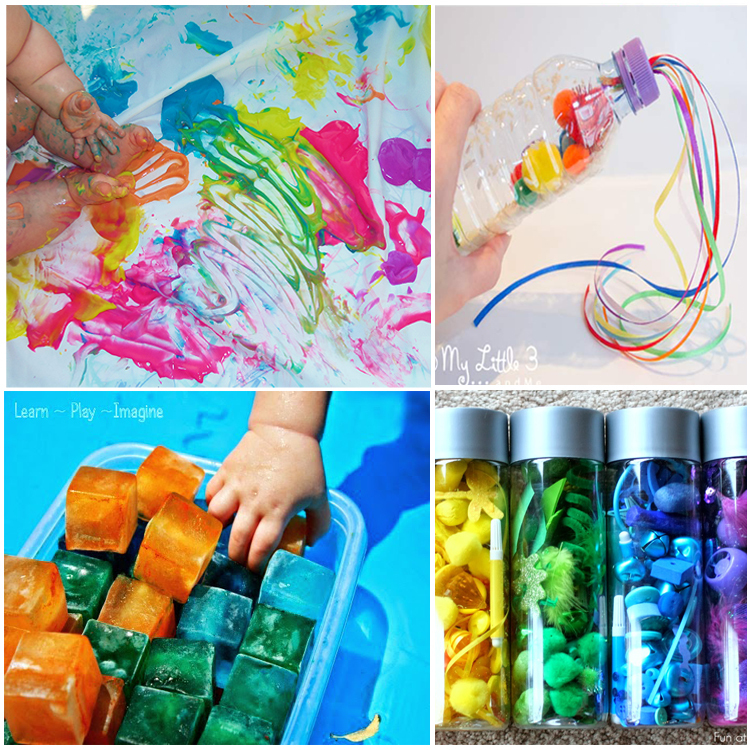 Colored Ice Play – A simple sensory play idea for summer from Learn Play Imagine. 11. Rainbow Music Shakers – See how My Little 3 And Me make these fun little music makers perfect for baby and toddler to explore! 12. Rainbow Discovery Bottles – I love how Fun At Home With Kids shows you how you can adapt these bottles for older children as well as babies. 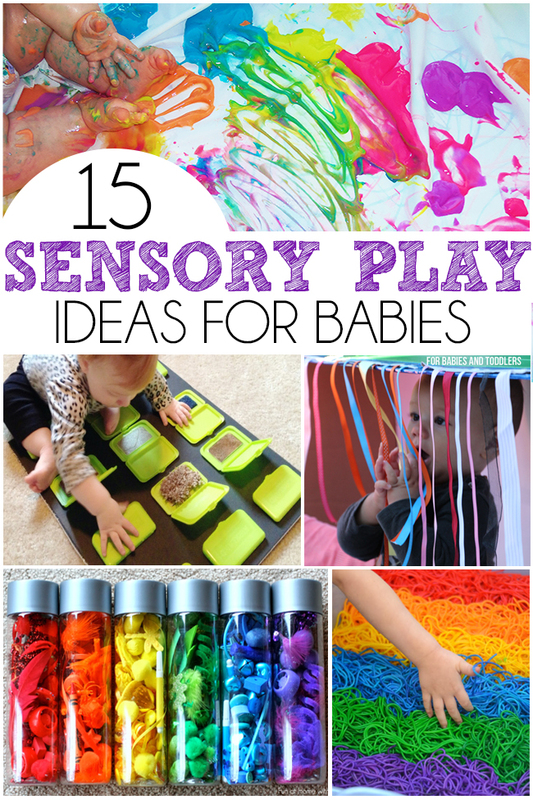 She also has a ton of other amazing sensory activities that you have to check out! 13. Outdoor Sensory Play – The Realistic Mama shows you how to use what you have right in your back yard for some easy sensory play! 14. 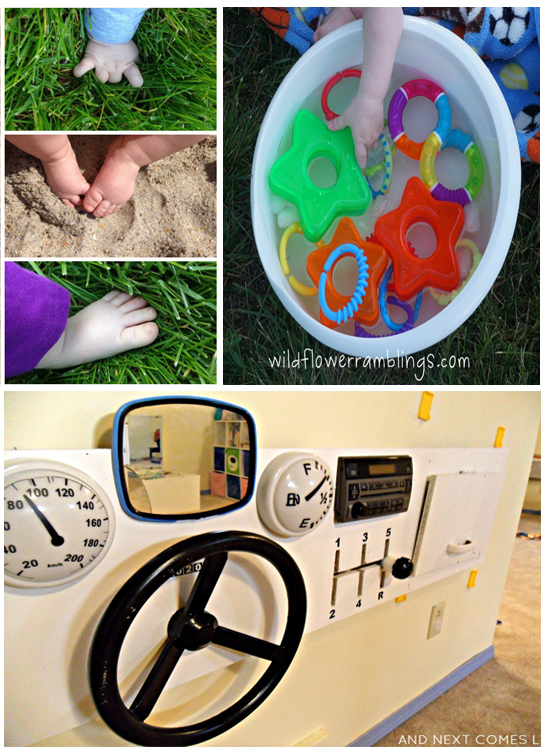 Water Play– Another fun summer activity for the little ones from Wildflower Ramblings. 15. Car Dashboard – This may be the coolest sensory board ever! Made from upcycled car parts! Check out the tutorial from And Next Comes L.